Group Visits at Langham Glass Ltd01328 863500work Group VisitsGlassmaking demonstrations with live commentary. Factory shop and Coffee Shop. The site is fully accessible for the disabled. There is no entry charge if your party only wishes to visit the factory shop and Coffee Shop. Group sizes - min 10, max 60, 4-6 weeks pre-booking preferable, coach parking on site, catering facilities, educational packs, full disabled facilities, shop. Glassmaking demonstrations with live commentary. Factory shop and Coffee Shop. The site is fully accessible for the disabled. There is no entry charge if your party only wishes to visit the factory shop and Coffee Shop. All year. 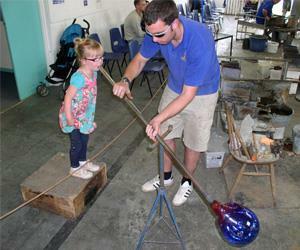 Please see website for full details and live glassblowing demonstrations.